This epically ultimate legend of recipe has been an absolute family favourite for years. The original version was lovingly written out by my Ma, but I’ve played around with it a bit over the years to come up these hearty, colourful, filling, delicious and very healthy Roasted Vegetable Burgers. Here goes nothing; I present to you the first ever savoury One Perfect Mess recipe! I love to cook just as much as I love to bake (gasp), and after briefly surveying those loyal friends who read this little blog, I have decided to brave the unknown and see if you have any interest in something a little different! I am an absolute hummus fiend; spread on toast with eggs, dolloped on salads, smeared on a burger, dipped into by carrot sticks… It’s so easy to make and such a substantial but humble little dish. By popular demand, I present to you another healthy recipe! 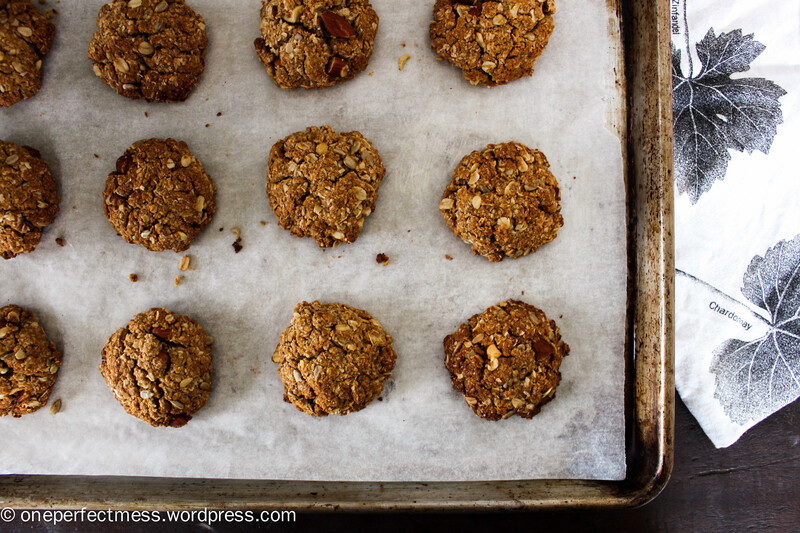 These little cookies have big personality; packed with almonds, sunflower seeds, coconut, oats, wholemeal flour, dates and a little honey for sweetness, each bite crumbles in your mouth and is irresistibly moreish. Because they lack any refined sugar, the texture of the cookies is on the slightly cakey side, but they still have a lovely crunch. Perfect for a morning snack, kids’ lunchboxes, or an after dinner treat. 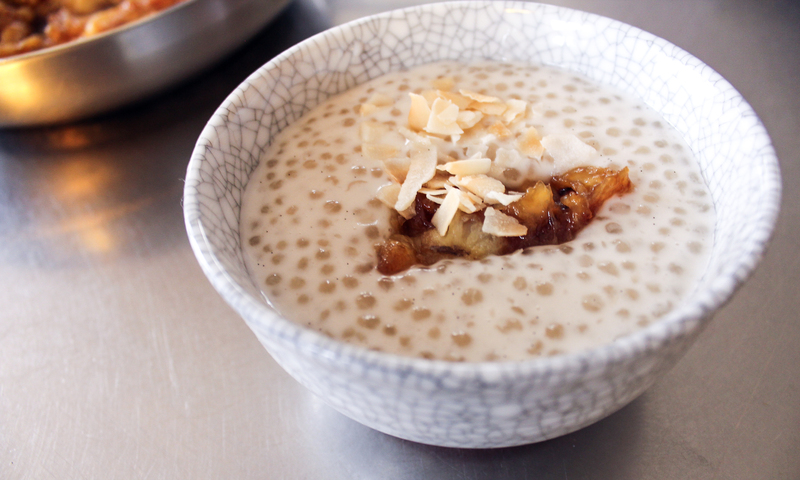 Public service announcement; I have made a dessert that is purely, honestly, authentically healthy! I had my first ‘bliss ball’ last week after my last exam, and it was an awe-inspiring, eye-opening, life-altering experience. Ok perhaps that’s a slight overstatement, but it was pretty darn delicious! And as much as I love baking with butter and sugar and cream etc., in reality we can’t all stuff ourselves with cake everyday of the week (tragic, I know). But, the beautiful thing about these little treats is that although they are vegan, gluten free, refined sugar free and 100 % natural, they are entirely decadent and addictive. 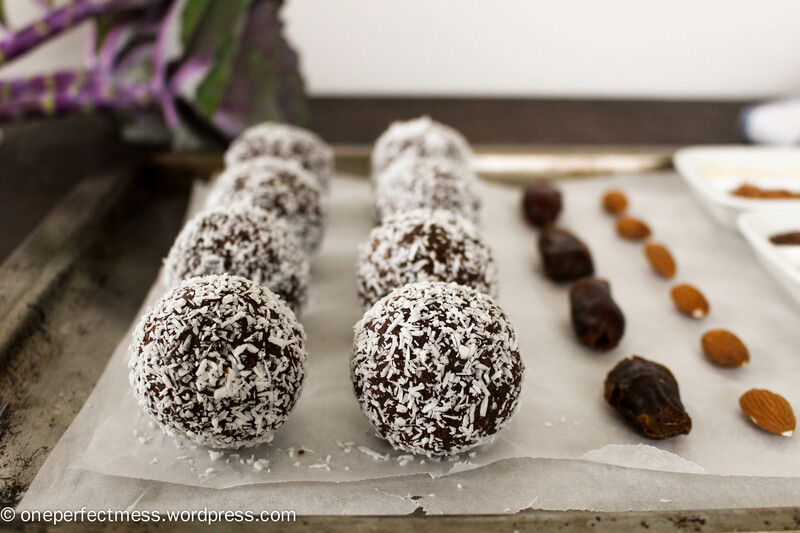 Packed with almonds, dates, coconut, seeds, cacao and some protein powder, just a single ball of bliss is satisfying and delicious enough to boost you through a slow afternoon, or accompany a cup of tea before bed.